Discussion in 'HYIP Discussion' started by All-HYIPs.info, Mar 7, 2018. 08.03.18 16:23;Account;Receive;Received Payment 3.7 USD from account U16617237 to account U1294000. Batch: 207780333. Memo: API Payment. Withdraw to allhyips from panther-gold.com. 08.03.18 15:30;Account;Receive;Received Payment 3.7 USD from account U16617237 to account U1294000. Batch: 207775688. Memo: API Payment. Withdraw to allhyips from panther-gold.com. 08.03.18 01:29;Account;Receive;Received Payment 16.65 USD from account U16617237 to account U1294000. Batch: 207714361. Memo: API Payment. Withdraw to allhyips from panther-gold.com. 07.03.18 18:16;Account;Receive;Received Payment 10.25 USD from account U16617237 to account U1294000. Batch: 207691047. Memo: API Payment. Withdraw to allhyips from panther-gold.com. 07.03.18 15:43;Account;Receive;Received Payment 11.1 USD from account U16617237 to account U1294000. Batch: 207676363. Memo: API Payment. 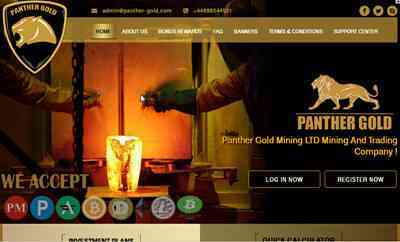 Withdraw to allhyips from panther-gold.com.